Boston is special, we all know it. But during the month of December Boston really shines. 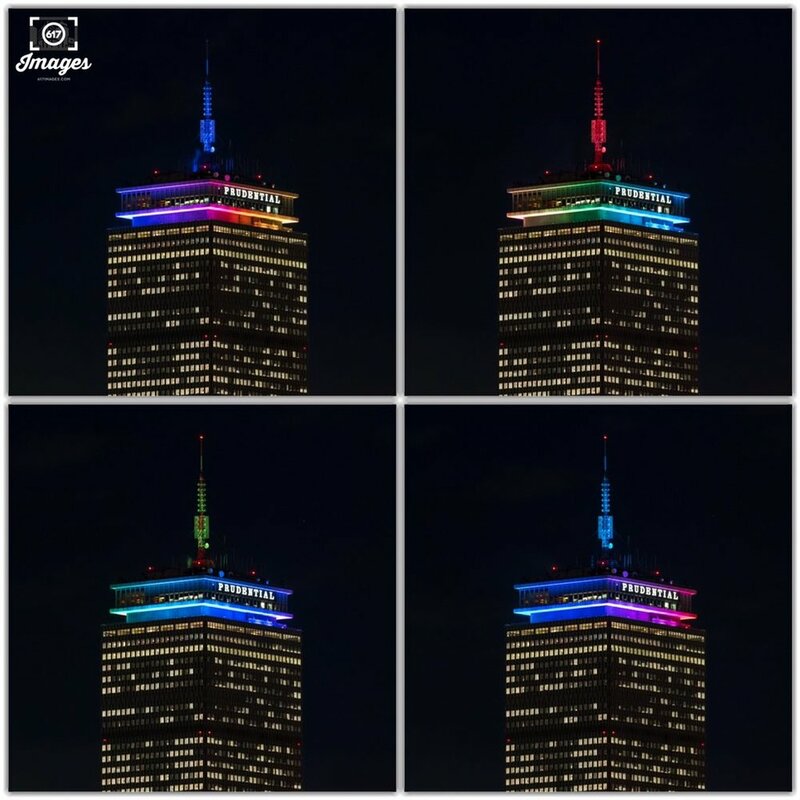 You may have noticed the iconic Prudential Tower different colors this past month. Every December the Prudential Tower lights up different colors for #31NightsOfLight. 31 nights of light was created to help community organizations gain key visibility during the holiday season. This year 617 Images captured each night of #31NightsOfLight with an original photo to help raise awareness for each organization. On behalf of @617images and myself we would like to thanks (Boston Properties, KP Strategies, National Development and Ink Block Boston) for providing awesome locations for some of the beautiful photos of Boston. Prudential Tower was lit purple for American Cancer Society Relay for Life. 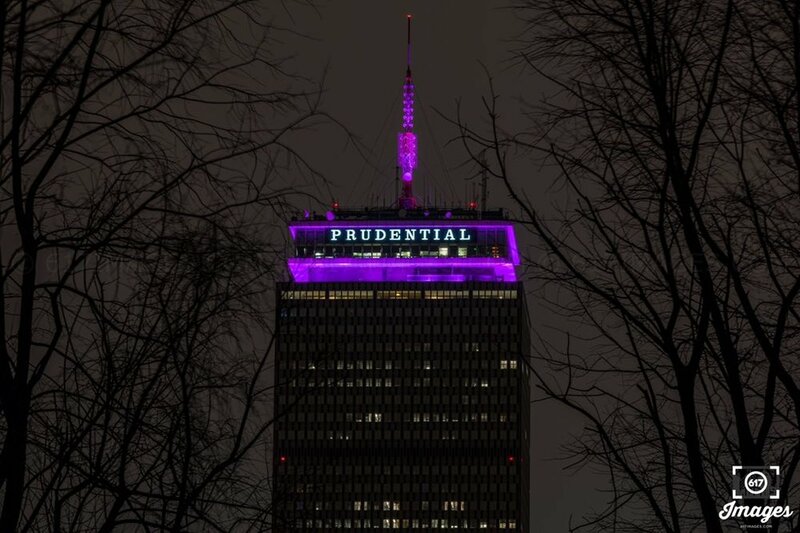 Prudential Tower was lit purple for the Big Sister Association of Boston. Prudential Tower was yellow for The Women's Lunch Place. 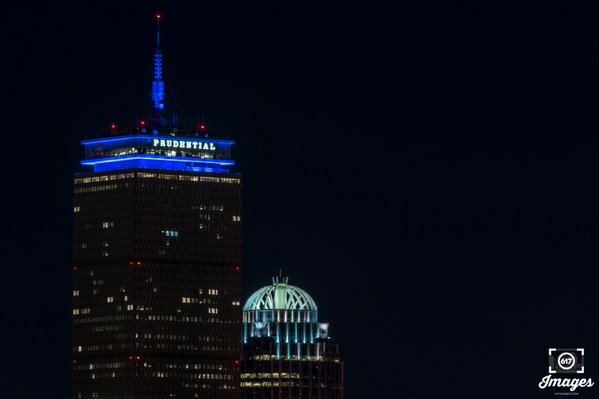 Prudential Tower was blue for Partners for Youth with Disabilities. Prudential Tower was orange for Dreamfar High School Marathon. Prudential Tower was orange for Walk Boston. Due to heavy fog here is last years picture of the Prudential Tower lit red and blue for America Scores Boston. Prudential Tower was blue for Play Works Boston. Prudential Tower was blue for the Lazarus House. 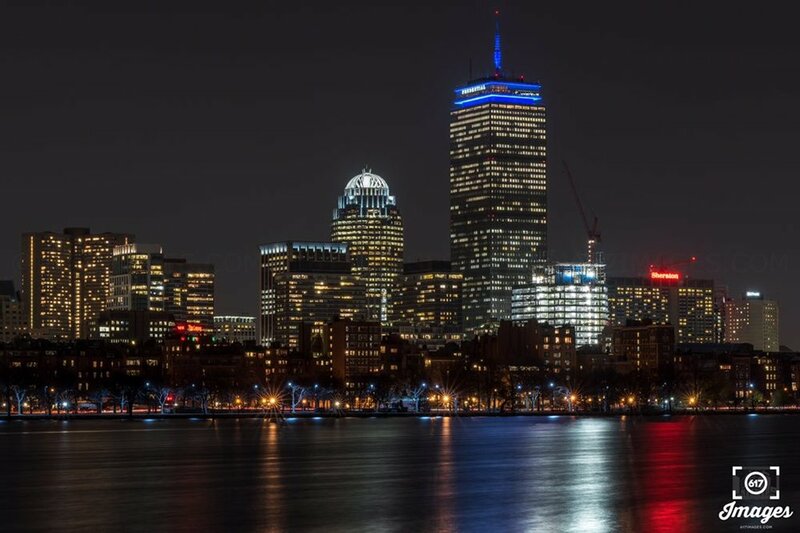 Prudential Tower was red and blue for New England Center and Home for Veterans. 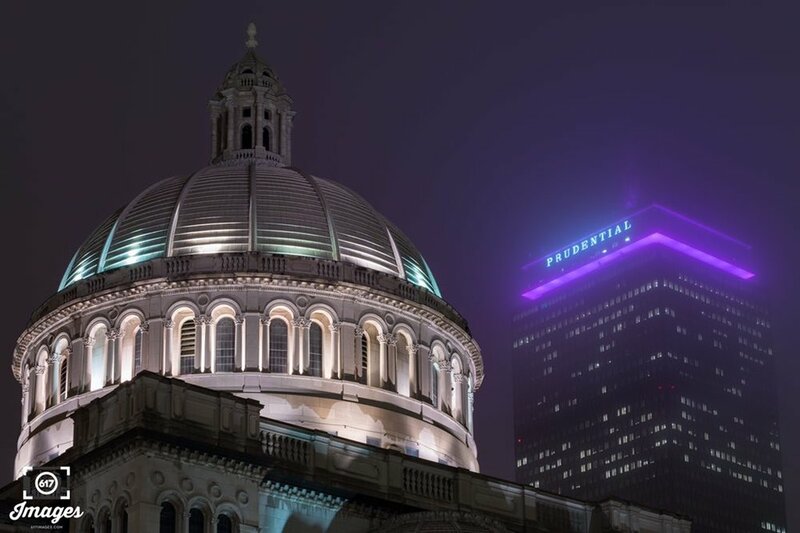 Prudential Tower was lit purple for The Children's Advocacy Center of Suffolk County. Prudential Tower was maroon for World Education. 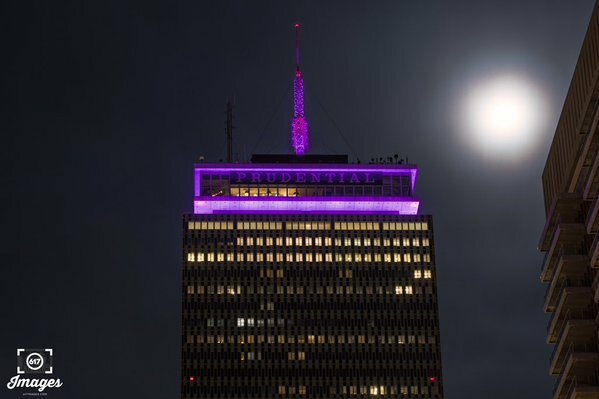 Prudential Tower was purple for Alzheimer's Association of MA/NH. Prudential Tower was Christmas colors to celebrate Christmas Day! Prudential Tower was red and blue for Lovin Spoonfuls Food Rescue. The Prudential Tower was gold for Andrew's Helpful Hands. Prudential Tower was red for United South End Settlements. Prudential Tower was green and purple for Respond Inc.
For more information about #31NightsOfLight and the links to the partnered organizations for 2015 please visit the Shops at the Prudential Center website.